Questa è una delle specie più imponenti che può formare cespi con oltre 50 fusti colonnari. Fiorisce da aprile a luglio ed i fiori sono molto belli. La fioritura avviene solo su piante mature non prima di 7-10 anni dalla semina. Cactus and Succ. Jour. 19: 153, f. 102-103. 1947. This species is very similar to E. grandis andit is uncertain of whether they are in fact one or two species. 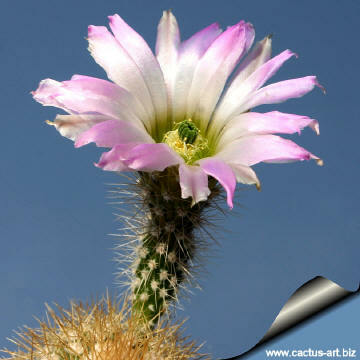 Common English Names include: Webster's Hedgehog Cactus, San Pedro Nolasco hedgehog cactus. Origin: It is thought to have a very limited distribution in Baja California and Mexico, Sonora, San Pedro Nolasco. It is unclear though whether the plant is actually to be found growing on the Baja California mainland, or whether it is only an island(s) based endemic. The flowers are a beautiful pink. They bloom from April through July, and are very showy. Blooming generally begins 7 to 10 years after sowing, as the plant matures. Description: This plant can grow as many as about 50 stems in a relatively large clump. 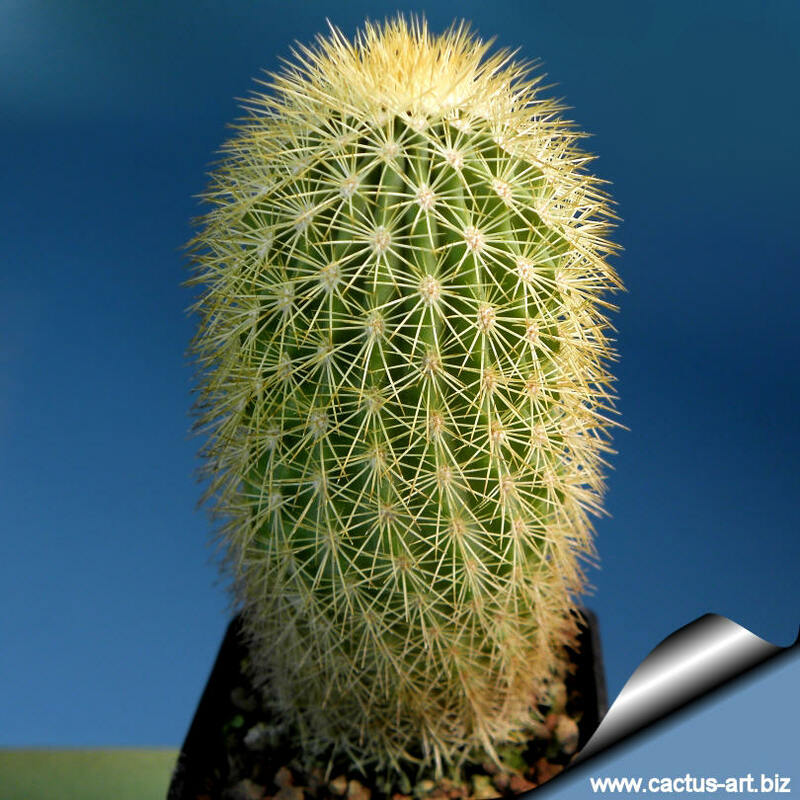 Plants in cultivation often grows for a long time with single solitary columnar stems. 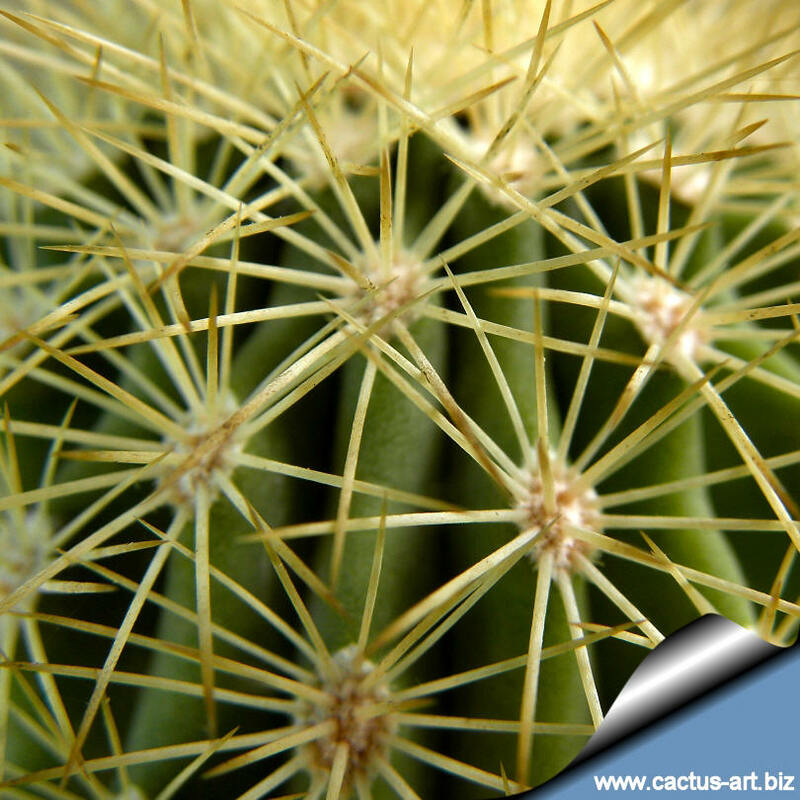 It's a quite variable plant and a fine example of the degree of variability to be expected within a species still evolving as are the cacti. Stems: Columnar, light green, , about 6-8 cm in diameter up to about 60 cm long with 18 to 24 low well defined ribs sometimes tuberculate, the branches grows from the base. Spines: Golden yellow becoming brownish with age (occasionally white), needle-like, fragile, slightly recurved. Radial spines: Spreading, about 10 to 14. Flowers: Diurnal, arising near the stem's apex, funnelform, the colour varies from whitish (for plants ex Isla San Esteban), to pale pink, deep-pink or violet (for forms found on the other islands of San Lorenzo, Nolasco Island and Las Animas, in the Gulf of California) or occasionally yellowish. The throat is white or yellow. The flowers are relatively short-tubed and small for an Echinocereus , up to 6 cm long, 3(-4) cm in diameter. Floral remains are difficult to detach from the plant and can set up stem rot. Blooming season: It flowers annually in June/July , the flowers remain open for 2 or 3 days. Blooming generally begins 7 to 10 years after sowing, as the plant matures. Cultivation: This cactus is cultivated and highly priced for its flowers and tall columnar gold spined stems. 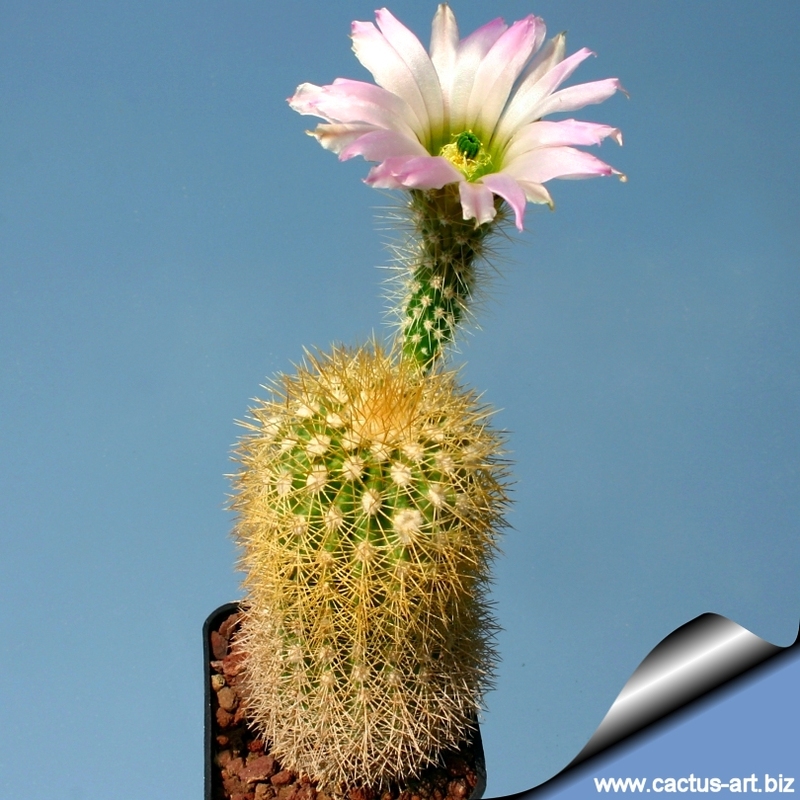 It is among the easiest species to grow, flower and propagate but a slow grower. Water regularly from March to October. Rot prone in winter, it needs good drainage. It prefers a deep pot. It is though a holy terror when you attempt to repot it, even the slightest touch seems to break off the spine clusters, a very difficult issue to avoid if you are moving a larger plant! Unfortunately, this tendency also permanently marks the plant and be aware that such faults are not necessarily due to poor cultivation! but in the greenhouse we will normally cut it and re-root its top when it gets too long. The base, of course, will produce more pups which can also be taken and re-rooted. It require strong sunlight to maintain a healthy appearance, and a harsh "dry and cool" winter environment combined with maximum light exposure enhances spring flower production. Avoid freezing temperature (But hardy to to -5° C for short periods).